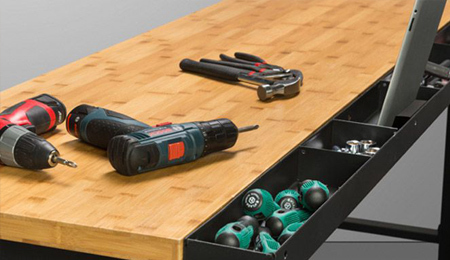 Are you looking for a garage workbench? 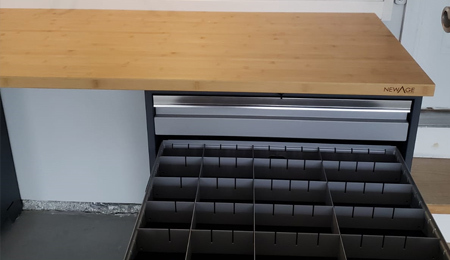 Potomac Garage Solutions offers many installation and services for garage workbench for many years throughout the Maryland, Virginia and Washington DC areas with professionalism, craftsmanship and great customer care. 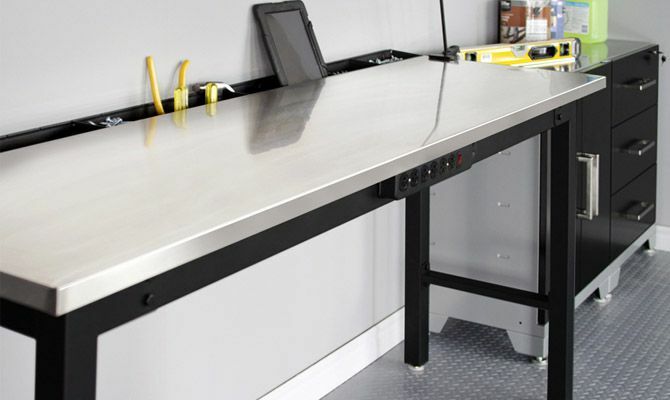 Since 2003, our expert garage professionals have been installing quality garage workbenches with precision and durable materials that are built to last. 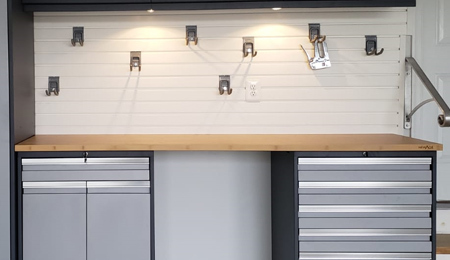 We provide garage workbenches in many configurations and color options to accommodate your unique garage renovation project. Our garage professionals have the experience and skills to transform unorganized, cluttered spaces into fully functional living spaces that meet your family and storage needs. At Potomac Garage Solutions, we work tirelessly, use expert installation methods, and state-of-the-art materials to ensure our clients are fully satisfied with the overall outcome of their project. Potomac Garage Solutions uses only quality products with many functions. 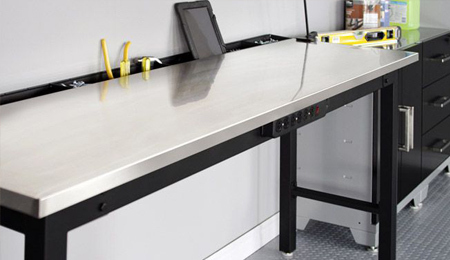 Our garage workbenches consist of both steel and wood material options with customized heights and widths that will suit your needs. The garage workbenches that we install are extremely sturdy and withstand the everyday rigors of the projects that you will work on. 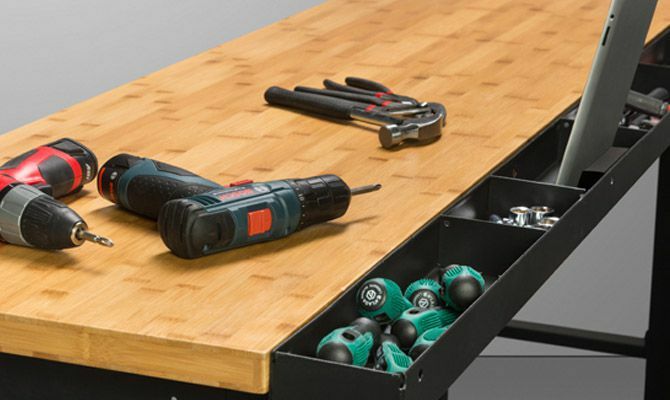 Since the workbench is most important tool or piece of equipment in your garage that gets the most use, we offer these workbench options: garage workbench tables, garage workbench cabinets, garage workbench with pegboards and portable garage workbenches which can be easily moved to anyplace in your garage. 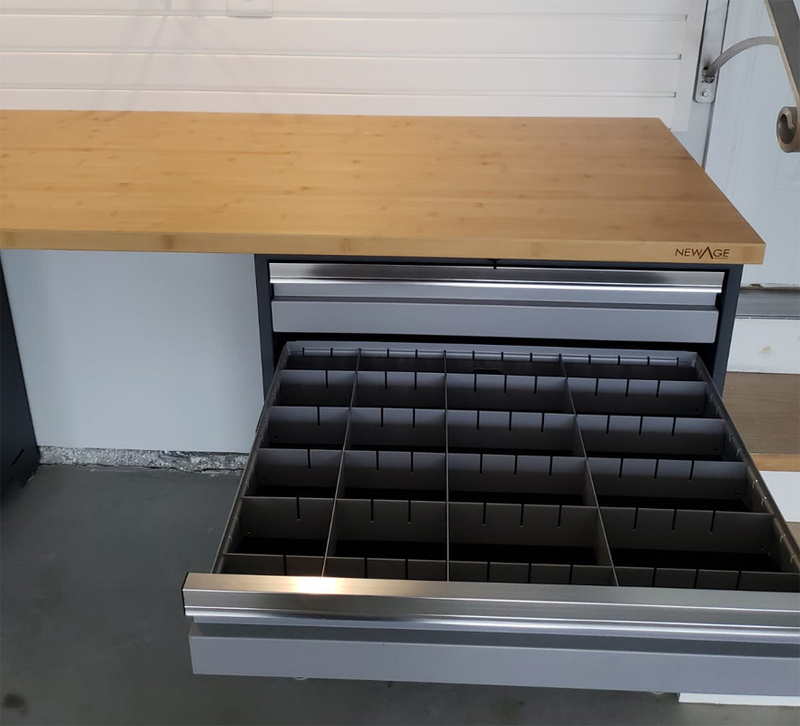 Our garage workbenches are available with many compartment, drawer and workbench surface tool options and can be customized to your specifications. Whether you will use your garage workbench for automotive repair, woodworking, metalworking, gardening or simple household repair, the experts at Potomac Garage Solutions will help you select the garage workbench that suites your repair needs. For more information about our garage workbench, contact Potomac Garage Solutions today at 240-650-2622.